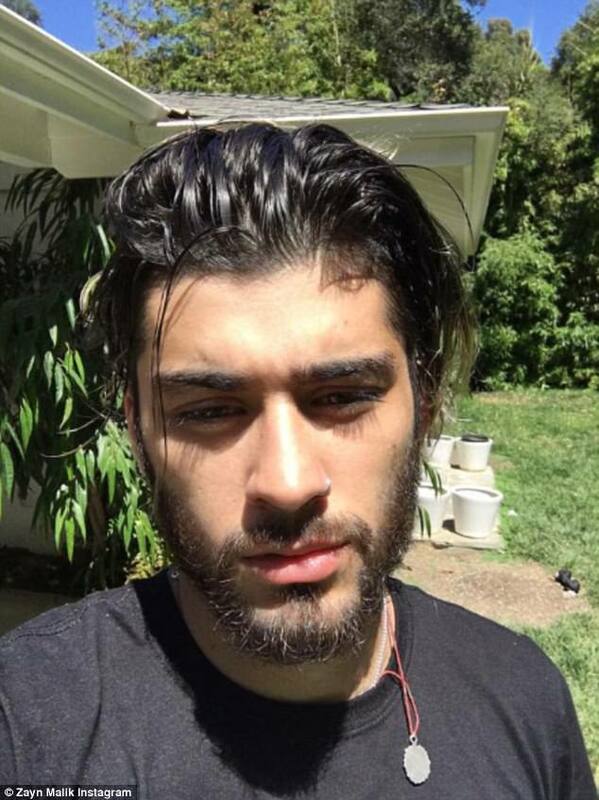 Can we talk about Zayn Malik for a second (or 60)? If looks could kill, we’d already be slayed by his fire Grammys look alone. We already knew Zayn was becoming a style icon with his perfect outfits (see Exhibit A, Exhibit B and Exhibit Z). But the 25-year old is primed to becoming the biggest grooming star in the Western world since, well, David Bowie. In the past year, we’ve delighted in how versatile he is when it comes to his face and hair (and also how QUICKLY his hair seems to grow). From his green-hued hair streaks, full-on beard, pink locks, his shaved head, and perfectly imperfect dangling hair strand, it’s obvious he isn’t risk averse when it comes to his beautiful head. To our delight, he debuted a yet another new hair style on Sunday’s Grammys red carpet, while sporting a salmon suite with a white rose embroidered onto his lapel – a show of support for the important #TimesUp movement. To literally top it off, he showed off a dramatic undercut with a flawless beard to hair fade. While the singer, who was nominated for Best Song Written for Visual Media for his duet, “I Don’t Wanna Live Forever,” with Taylor Swift eventually lost to Moana, it did’t even matter. This entire look obviously made him Sunday’s biggest winners. 2 After hair is slightly damp, use a dime-sized amount of pomade. 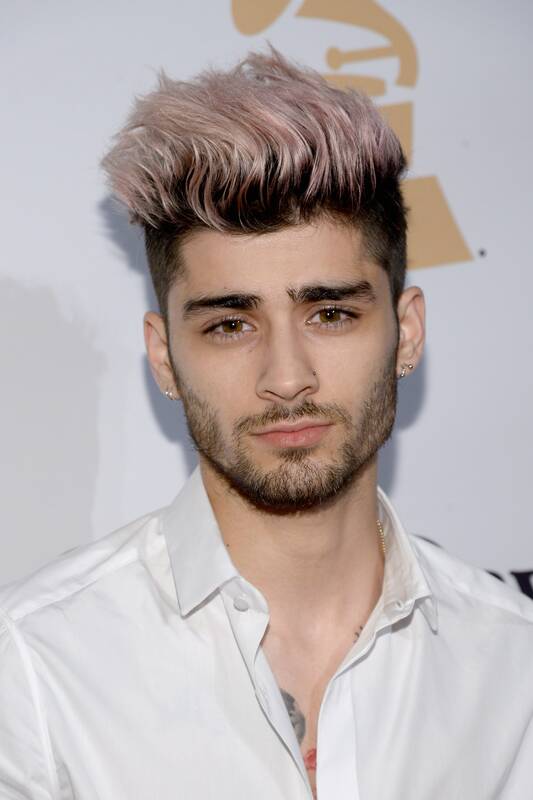 For Zayn’s Grammys look, Joanna used Baxter of California’s Clay Pomade, and warmed it between her palms. This makes sure there are no clumps of product or too much concentration of product in any one place. 3 “Starting at the back of the head, coat the hair with [pomade],” she says. “If you need more product, repeat, using a dime-sized amount of product.” Pro tip: It’s better to layer than start with too much, she says. In this case, too much can be too much. 4 Once the hair is coated with product, “finger style” the hair. Meaning, you can tousle the strands in between your fingers upwards for a more natural look. “The beauty of Clay Pomade is there is enough hold for the style to hold once it’s set, but not so firm that you can’t work the style until it’s too your liking,” says Joanna. Meaning, pomade won’t feel heavy or greasy, rather, it’ll settle in naturally with your locks. 5 If you have any random flyaways, smooth just those with a tiny bit more Pomade. Keyword: TINY. 6 Finally, Joanna says she topped the look using Baxter’s Clay Effect Style Spray to hold. You can totally use any other spray as well that isn’t too sticky and free of alcohol (it’s drying). 7 Voila! 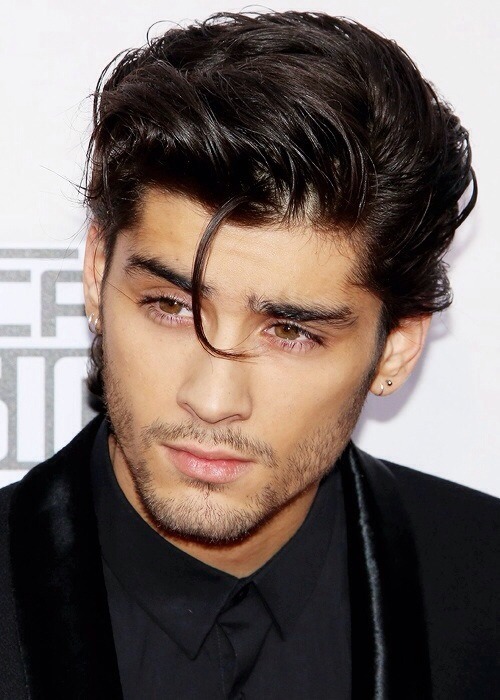 You’ve got Zayn’s perfect coiffure. For those who are wondering about how Zayn’s skin looked so glistening, Joanna says he washes, exfoliates then gently pats his face until it’s still damp. The extra water allows the face to lock in extra moisture, she says. She also used Baxter’s Under Eye Complex to push any and all puffiness out. Finally, after moisturizing, Joanna says she took a tissue and blotted Zayn’s T-zone. “The result is even skin that looks hydrated without grease or shine.” All it takes is a tissue, guys!